This event took place on 19th January at County Hall in London, and showcased the beta integration of EventStream Live™ with Glisser – combining our service with live slides, audience polling and Q&A. Read the full press release here. 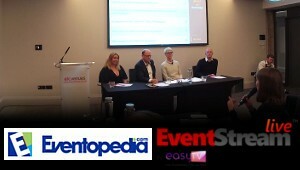 Eventopedia.com – How Does Event Tech Deliver ROI? This entry was posted in Downloads, Previous EventStreams™ Clips and tagged Eventopedia on June 20, 2017 by Piyawan T.. This entry was posted in Downloads, Previous EventStreams™ Clips and tagged Eventopedia, video on June 20, 2017 by Piyawan T..